We’re heat and energy misers because the world’s fuel supply resources are limited and nonrenewable. Plus, your fuel consumption costs you money. Heat conservation is key and the best defense is heat recovery from boiler flue gas. A boiler flue gas economizer transfers the waste heat from boiler flue gas and uses the energy to heat the boiler feed or makeup water. The process lowers the consumption of fuel for a given steam demand while reducing utility and operating costs. With Heatmizer®, the flue gas heat that is usually lost out of your boiler stack is captured and given more opportunity to provide steam. Heatmizer uses the captured heat to reduce boiler stack temperatures and bring you maximum efficiency without damage to your boiler’s carbon steel surfaces. The offset design prevents boiler corrosion by capturing condensate without allowing it to drip back down the stack to the boiler. Our units are built with corrosion resistant materials so that any condensation created through the process can be captured, separated and safely drained. The Heatmizer contains a manual or automatic bypass feature located near the cabinet’s bottom. 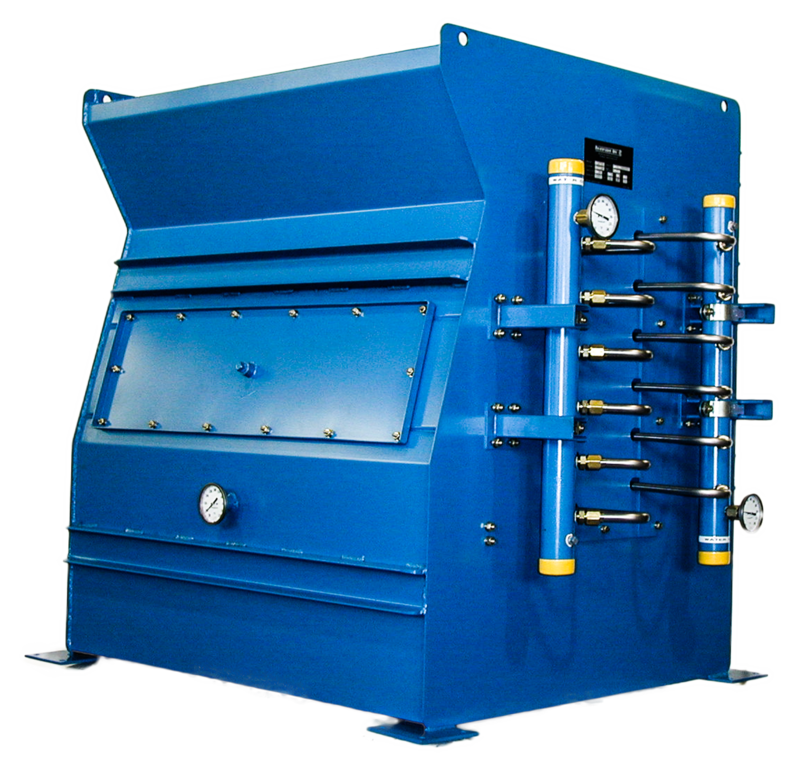 The bypass can be used during periods of oil firing, standby or to consistently maintain a desired water temperature. With easily accessible inspection doors on both sides, our Heatmizer units can be cleaned and serviced quickly and easily. The Heatmizer FGL Model adds approximately 0.5” WC to the boiler furnace pressure. 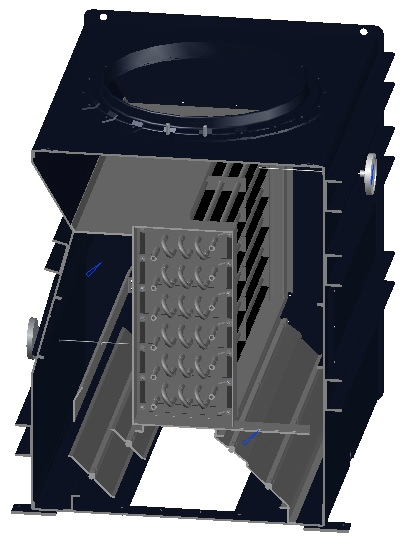 The typical boiler-burner forced draft fan easily overcomes the increased pressure loss. The FGL is compact, lightweight, and easily serviced. Standard heat exchangers are stainless steel tubes and aluminum fins. This model Is designed to be directly mounted on the firetube boiler flue gas outlet. Integral bypass damper system with linkage operated by manual actuator. These units are built with an integral draft fan and automatic draft control system. Draft regulation is a set up to match the original draft conditions for each boiler. Both the IGL and BGL Heatmizer models are normally used for boilers that are not pressure tight or where two or more boilers are connected to a horizontal breeching not designed for positive pressure. site by Red Branch Media.